"I'm predicting a Michael Van Gerwen victory on the basis his doubling to start and finish has been relentless. I do think he'll have spells of mediocrity (though it's all relative of course) to let Peter in now and then, but in general I think he'll just be too good for Snakebite." 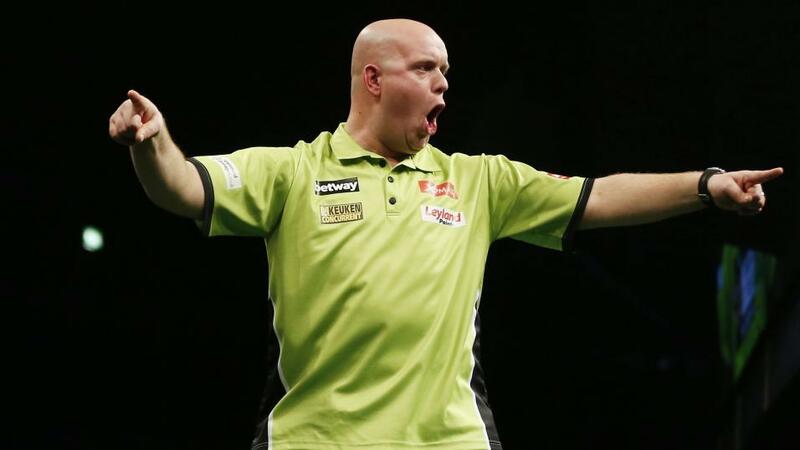 So, after all the drama of the last week in the fare city of Dublin, the world number one and two - that is Michael Van Gerwen and Peter Wright - will fight it out over the best of nine sets to find out who is going to be the World Grand Prix Champion. The double-in double-out format is, for some, a chore. It's taxing on the concentration front because it's not the norm, this is the only time of the year the guys play the discipline, so keeping focused is tough. Wright has had more dips in the format than Michael, who has had things more or less his own way so far. Peter, on the other hand, has had to dig deep. I personally think Peter's route has added to his already resolute attitude. Before we get to the final, how unlucky were we not to have a 14/1 shot in the final and a 9/1 winning bet on the finalists? Mensur Suljovic's semi-final defeat was painful, but oh well. Anyway, on to the final. How do I see this panning out? Michael is playing better than Peter, that's fact. A stat that may surprise, however, is that Wright's 180 percentage is higher than Michael's. The Dutchman's doubling stats are superior to Wright's. But while Michael's are the best part of five points higher than Peters, that's negated a little due to the double-in format. If Peter can produce a performance where his end average is north of 90, I can assure you he'll have the chance to cause MVG big problems. Michael will have to play very well to win this game, but if he does he'll win by two, maybe three, sets. If he's off just a little I think he can get beat. In his semi-final win over Suljovic, Peter came from three sets down to win 4-3. The general consensus was that he played better in the latter part of the game, but that's incorrect. Peter carried on at exactly the same level, it was Mensur that dropped off. If Michael has any lulls tonight, there's no doubt in my mind he'll get punished for them. I'm predicting a Michael Van Gerwen victory on the basis his doubling to start and finish has been relentless. I do think he'll have spells of mediocrity (though it's all relative of course) to let Peter in now and then, but in general I think he'll just be too good for Snakebite. I think this will be a high-quality affair with lots of maximums and some high finishes. With no certainty I'm going to also back over the 180 spread, purely because I think eight sets will be played. Enjoy the final and let's hope we can pinch a few quid.